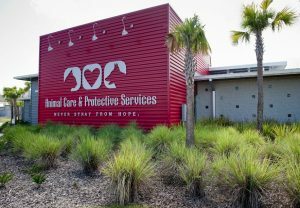 Friends of Jacksonville Animals works w/ Animal Care & Protective Services to benefit the lives of shelter animals by focusing on fundraising to assist w/ medical care, enrich shelter environment, & promote adoptions to reduce euthanasia. With more stray animals coming in daily, your help is desperately needed. What can you do? Please foster, adopt, and/or volunteer. ACPS Volunteer Coordinator, Cristhel Lewis, is awesome! She will put you in touch with the department you want to work with. They have a need for cleaning, stuffing Kongs, doing laundry, taking dogs out, assisting vet techs, working with animal behaviorists, riding with animal control officers, talking with people about which pet might be right for them & so much more! There is something for everyone and no time commitment is required. The schedule is flexible but they rely on volunteers to help with all the animals. Open House at Green Dog Spa! 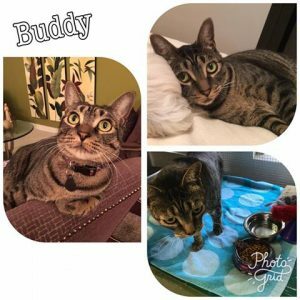 UPDATE: Buddy found a wonderful home! He is a sweet 3 year old Domestic Short Hair Tabby that loves toys & catnip stuffed mice. He doesn't scratch things up & enjoys being on a porch. Neutered & up-to-date on shots. For more details, please visit him at Sunland Acres or call 904-287-5246. Stop by for a tour! 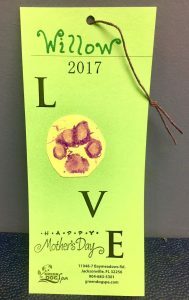 Bring your pet and we will help them make a Mother's Day pawprint card just for you. We will also be offering no charge pawprint cards Tues- Sat 8am-5pm until Mother's Day, May 14th. Dental care for a healthy & happy pet! February is National Pet Dental Health Month! 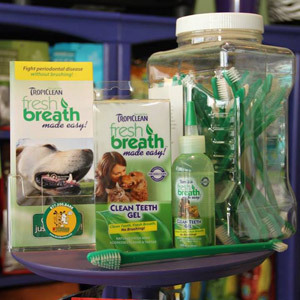 "TropiClean oral health products are made with natural ingredients for a healthy mouth and fresh breath." We also offer a variety of foods & treats that will keep your pet healthy & happy such as Orijen, Acana, Sojos, Pops, Snooks, Front Porch Pets Sweet Potato, and local Pawfection Bakery. Grain free diet can help with allergies as well as maintain optimal health.